We live in a time when professional skills are more valued than ever before. Tertiary qualifications, years of experience, the ability to interpret data and drive new innovations are highly prized. While those are certainly important elements of a successful workplace, there is a skill I would argue is even more important: Develop your Emotional Intelligence. Emotional Intelligence is the ability to identify, control and express our emotions and guide our interpersonal relationships. It’s intangible and hard to measure. Yet it’s the often the quality that defines how well people work together, how someone might respond to adversity and the invisible trait of great employees and leaders. One easy way to develop your emotional intelligence is to cultivate your empathy for others. Empathy is the ability to identify with the feelings, thoughts or attitudes of another person. Understanding why people behave the way they do improves your chances of communicating successfully with them. Feeling empathy toward another person will also help you prevent blowups or unnecessary conflict with the important people in your life—such as your spouse or boss. To improve your ability to empathise, start with yourself. When you pay closer attention to your own behaviour, ask yourself why you are behaving in that way. You will learn some fundamental truths about yourself that you can apply when relating to others. Slowly you will start to recognise the things that might be motivating people to behave in a particular way, allowing you to empathise with them more. 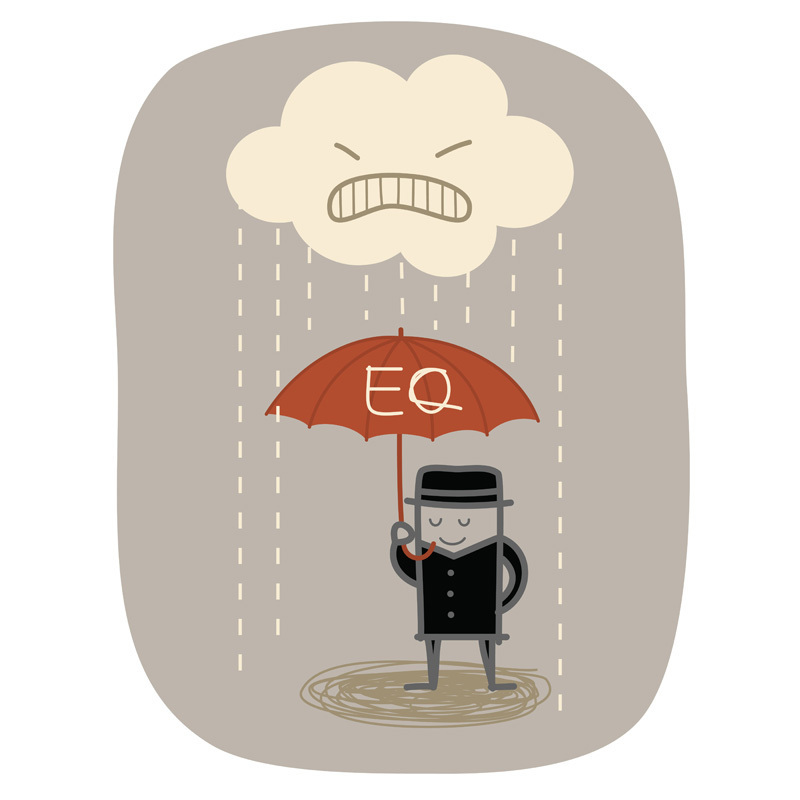 Another way to further develop your emotional intelligence is to respond appropriately rather than react. Have you ever misinterpreted something someone said? Perhaps a passing comment from a colleague or a sharply worded email irritated you and you reacted with hostility, only to find that you misunderstood the situation or tone? When confronted with such situations our response is often to angrily defend ourselves, sometimes without taking the time to clarify what is really being said or done. This is why it’s important to respond to a situation instead of immediately reacting to it. This can take many forms. Sometimes it might mean drawing a deep breath before speaking in a meeting, or sleeping on an email before you send it. Other times it might just be asking the people involved to clarify the meaning behind what they’ve said or done. You could also use the traffic lights strategy I proposed in an earlier article. See here. Such strategies allow you to gather the appropriate context surrounding a situation and respond accordingly, instead of reacting with your emotions. In this way you’ll be able to offer a better response and articulate your true feelings on the matter in a more considered way—which will be to everyone’s benefit. Anger, frustration, insecurity. These are all common emotions people might use to describe everyday office interactions. But the reality is, no one can make you do or feel anything unless you allow them. You can develop your emotional intelligence even further by taking responsibility for them! How? Suppose a colleague excludes you from an important meeting or withholds a crucial piece of information from you. Most people would feel hurt at such a gesture. It might cause them to doubt the working relationship, and question their own abilities. It may even cause anger or anxiety. Such feelings are perfectly normal. But you don’t have to dwell on them, and you certainly don’t have to act on them. Acknowledge them, let them pass and at an opportune time start a constructive conversation with your colleague or boss letting them know the impact of the situation on you, and how it might be improved. People with higher emotional intelligence tend to find ways to take responsibility for their own emotions and happiness, and they learn how to manage their own negative emotions and channel them in a constructive way. Another way to develop your emotional intelligence is to improve your own self-awareness. If you tend to be impatient or lose your temper in certain situations—for instance, traffic jams—ask yourself what might be prompting your anger. Is it possible that there is something deeper going on? Could it be that you’re suddenly in a situation beyond your control? Or maybe you are actually angry about another situation in your life that is manifesting itself as you sit in traffic? Emotions are complex and can have various motivating factors. It’s important to understand why you react to certain situations the way you do. Correctly identifying the source of your emotions and reactions will lead to deeper self-awareness. In turn, you will become more aware of this same dynamic when you observe it in others. At times in our lives we will all need to face adversity, both personal and professional. We lose clients, we fumble important projects, the people we love fall ill or let us down. Emotional Intelligence means accepting these moments with humility. A humble attitude towards the inevitable ups and downs of life creates an emotional foundation from which you can move through difficult situations with grace, and come through them stronger and wiser. Learn more about our custom training and assessment services designed to help you and your team develop and grow their Emotional Intelligence.